Excellent! 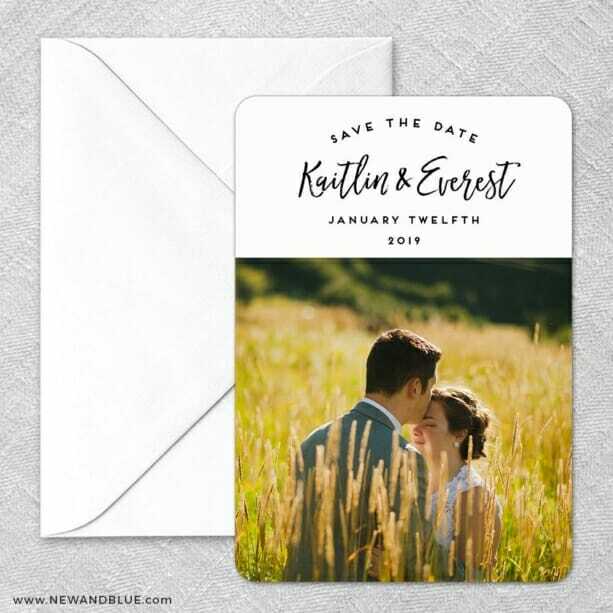 !We have not received our order yet for our save the dates, however, we did order a sample and we were very pleased with it. Excellent quality, reasonably priced, and speedy service. We could have paid a little less elsewhere, but only by comprising quality. I highly recommend ordering save the date magnets from New and Blue. What I was very happy with, aside from the beautiful product, was the incredible customer service I received. They were prompt in their responses, and very patient and informative with all of my questions and concerns. Every staff member I have dealt with here has been a delight to deal with!